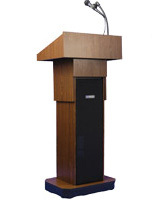 Our Extensive Online Catalog Features This Podium & Many More! 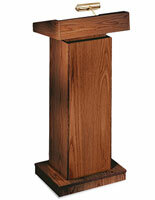 Variable Height Speaker Pulpit Adjusts By a Pneumatic Pedal! 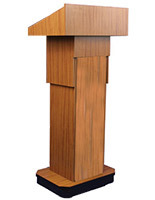 42"-52" high accommodates people of 5'2"-6'4"
Have you ever seen a speaker who looked awkward behind a podium? Were they stooping to read their notes? 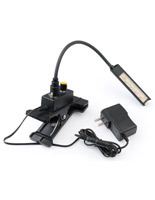 Did they struggle to see out to their audience? 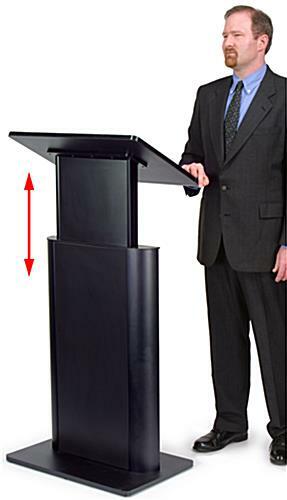 Well that is why we are proud to introduce a speaker podium with an adjustable height. 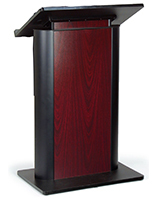 This quality unit is modeled after our popular contemporary lecterns. 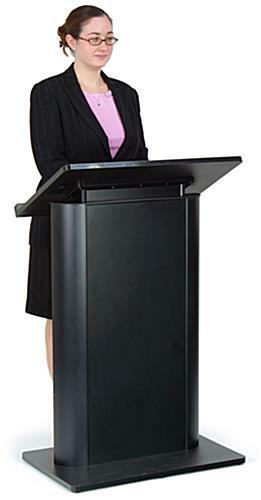 The spacious working surface measures 26.75" wide x 16.75" deep. 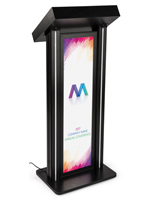 This shelf can accommodate most any material needed for your presentation. 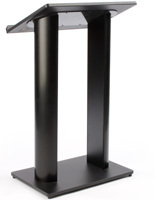 The high-density polyethylene black bottom and reading shelf complement the styling of this lecterns black anodized aluminum uprights. 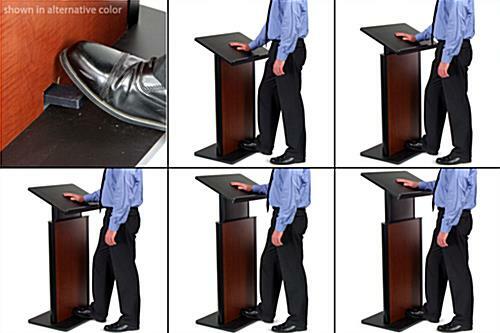 The front and rear panels are formica trim panels that snap into the aluminum uprights without the use of tools. 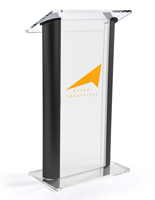 This lectern adjusts from 42-54 inches in overall height.